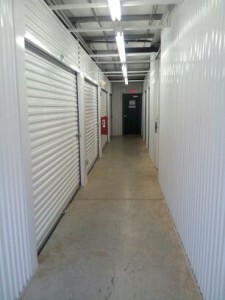 Climate controlled storage units are available at Storage World. There are many factors that need to be decided upon when choosing a storage unit: location, price, security and what size storage unit. Deciding what you need to put in storage will determine the size and type of the storage unit that you will need. There are two types of storage units: conventional storage units or climate-controlled storage units, which are usually located inside a finished building. Both types of storage units have their pros and cons depending on the cost and the length of time that you will be renting. Storage unit sizes range from the smallest at 5×5 to 15×30. Atlanta summers of high temperatures and humidity are a perfect reason to have a climate controlled storage unit. Climate controlled storage units are either air-conditioned or heated depending on the climate. A unit cannot go below freezing in the winter and above 90 degrees in the summer. Most climate controlled storage units are maintained at 55-80 degrees throughout the year. Some facilities will also offer humidity control, setting their storage units at a 55% humidity level. Having the constant temperature in the storage unit will help protect the stored items from damage. High temperature and humidity levels can warp, crack or split wood or leather furniture. High humidity levels can create moisture in electronics, book, paper and clothing which can develop into mold, mildew and rust damaging the items beyond repair. Extreme temperature can also damage business items such as electronics, medical or pharmaceutical supplies and retail inventory. Storage World offers climate controlled storage units at our 3 locations in Decatur, Stockbridge and Jonesboro. Ask one of our staff about the benefits of renting a climate controlled storage unit for your belongings. Give yourself piece of mind that your belongings will be protected from damage from extreme temperatures and humidity levels by placing them in climate controlled storage unit today!